A Little Goes A Long Way:Use sparingly by putting a few drops over a 2 x 2 area and polish from drop to drop. You can also mist SPEED SHINE ULTRA over the area for an even easier application when hand rubbing or using a buffer. 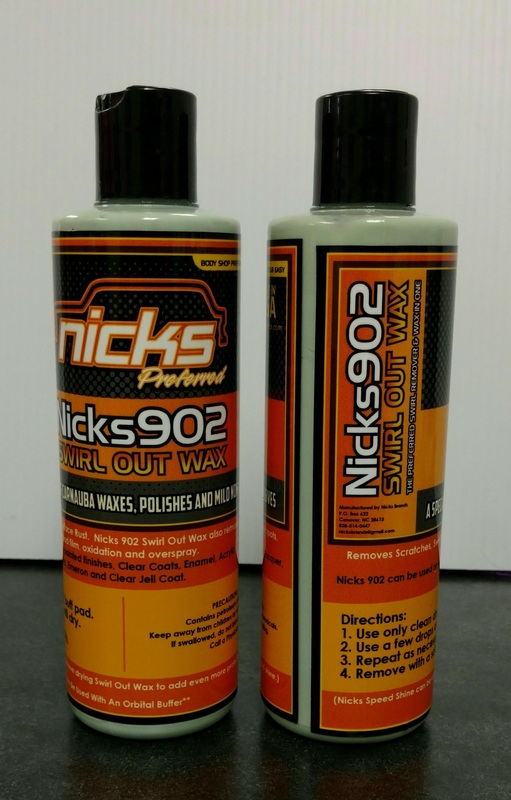 Removes Scratches, Swirl Marks and Surface Rust, Water Spots, Tree Sap, Road Film, Oxidation, and Overspray on old and newly painted finishes, Clear Coats, Enamel, Acrylic, Cronar, Lacquer, Polymers, Emeron and Clear Jell Coat. 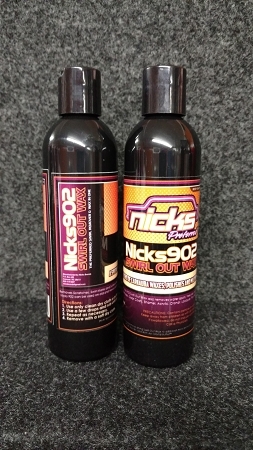 This product can also be used with an Orbital Buffer for Extreme Shine! Made from the purest Carnauba wax and contains no fillers, minerals, silicons, abrasives, or other by-products of any type. 902 will not leave a haze or white residue on surface and protects for up to six months with one easy application. DOES NOT DRY TO A WHITE HAZE, DOES NOT NEED TO BE SHAKEN, CAN BE APPLIED IN DIRECT SUNLIGHT. IT IS AN AMAZING EASY TO USE POLISH.